Create a legally binding New Jersey Bill of Sale with our attorney-drafted template! What Is a New Jersey Bill of Sale? A New Jersey bill of sale is a form that uses specific language to transfer the ownership of an item from one person to another. The individuals involved are referred to as the buyer and the seller. Most New Jersey bills of sale do not need to be notarized. What Are Some Common Bills of Sale Used in New Jersey? The most common bills of sale used in New Jersey include a general bill of sale, a bill of sale for a motor vehicle, a bill of sale for a boat, and a bill of sale for a gun. How Do I Write a New Jersey Bill of Sale? A New Jersey bill of sale can be written in plain English as long as you ensure that you insert the proper information. All bills of sale require certain information about the parties, a description of the item, terms of the sale, and it must be signed and dated by both parties. However, the description of the item will depend on the type of bill of sale that you use. First, we'll look at the common information in all bills of sale and then we'll look at how to properly describe the item. A New Jersey bill of sale must have the date that it was created. This is usually listed within the first few lines. If the buyer pays for the item on a date that is different from when the bill of sale was created, that date should be listed in the terms of the sale. 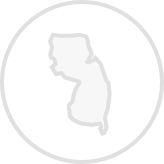 The final date for a New Jersey bill of sale is placed by the signatures of both the buyer and the seller. The buyer and the seller should be identified by their full legal name and full physical address. Then, you'll include a description of the item. You'll learn more about that soon. After the description of the item, you'll insert the terms of the sale. Whether the item is a gift, a trade, or the buyer is paying with cash is a term of the sale. If the sale is actually a trade, you will also create a description of the item that is being traded. 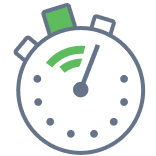 If the buyer is paying on a date that is different than when the bill of sale is created, the payment date is placed in this section. For monetary payments, you'll list the price in words and then in numbers. For example, five-hundred dollars and no cents ($500.00). You can also include a seller's disclosure. A seller's disclosure in a New Jersey bill of sale tells the buyer about any problems the item has, even if it is minor. It also tells the buyer that the sale has no warranty and is "as-is." Finally, a New Jersey bill of sale should have the signature for both the buyer and the seller. Both parties should keep several completed copies of the bill of sale for their records. To describe an item in a New Jersey bill of sale, you'll primarily rely on the type of item that you're selling. This particular bill of sale is used for selling your personal property such as a television, a dining room set, a bookcase, your grill, a used laptop, or anything that doesn't qualify as a motor vehicle, a boat, or a gun. Start by checking the item for a registration number or serial number. If the item has one, it should be included in the bill of sale. Other descriptors include the color, size, make, model, and material. For example, if you were selling your dining room table, you could say how many people it seats, whether it has a leaf, and the material it is made out of. According to the New Jersey Motor Vehicle Commission, a bill of sale for a motor vehicle must have the buyer's name and address, the date of the sale, the odometer reading, and the sale price. A New Jersey bill of sale for a boat must include a notarized U.S. Coast bill of sale. You can find that document by clicking here. This form includes the vessel name; Hull ID; total interest transferred; manner of ownership (such as community property); the amount of the sale; the builder of the boat; length and width of the boat; and any warranties or limitations. It's important to note that this bill of sale must be notarized. A New Jersey bill of sale for a gun should include the make, type, caliber, and serial number. Since many gun sales involve a trade, remember that the traded item should be described as well. Remember to keep several copies of the completed bill of sale. Is a New Jersey Bill of Sale Required to Register a Motor Vehicle? Yes, a bill of sale is required to register a vehicle. You'll also need the title. To learn more about registering a vehicle in New Jersey, you can visit the New Jersey Motor Vehicle Commission's page on Transferring Vehicle Ownership. Is a New Jersey Bill of Sale Required to Register a Boat? Yes. More specifically, you must use the U.S. Coast Guard bill of sale to register a boat in New Jersey. You must also complete an Application for Certificate of Title for Vessel and a Boat Registration Application (not available online; you may get this form from a motor vehicle agency). You can learn more about boat registration by visiting the New Jersey Motor Vehicle Commission webpage. Is a New Jersey Bill of Sale Required to Register a Gun? No, a New Jersey bill of sale is not required to register a gun. Guns are not registered in New Jersey. 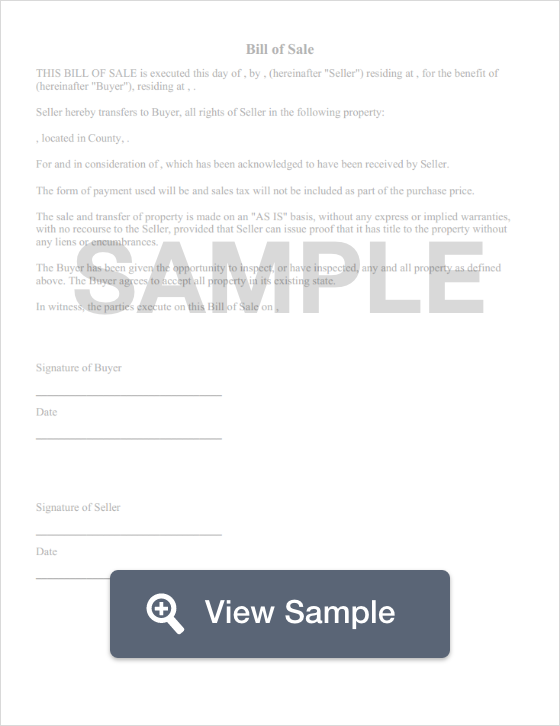 Create a free New Jersey Bill of Sale in minutes with our professional document builder.